Galapagos Islands, Ecuador – El Nino, a cyclical pattern of Pacific storms caused by warm water, has become stronger in recent years, researchers say. And that has affected the famed Ecuadorian islands known for bird, reptile and sea life. The El Nino years can be more intense. The change has even affected finches, which have evolved in just a few years to adapt to the changing environment. Dead Sea, Israel and Jordan – The lowest place on earth is shrinking, Gunter says. In the last 40 years, the famed salt-laden sea has diminished by a third and dropped 80 feet. Much of the change is due to increased use of water for irrigation from the Jordan River. That’s the key component. Venice, Italy – Flooding has long plagued the famed canal city, but it has intensified in recent years, with some areas regularly inundated at peak high tides. It’s a regular event, it’s not just something hypothetical that we’re anticipating. The city is developing plans to build flood walls and other barriers to keep the sea at bay. 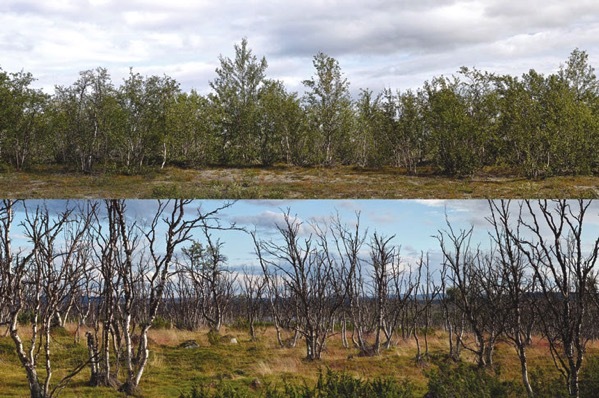 Fairbanks, Alaska – A drunken forest may sound like something out of a “Harry Potter” book, but it’s actually a change caused by rising temperatures. As permafrost, the layer of permanently frozen ground, disappears in Alaska, trees begin to tilt. There are forests that are leaning like a hurricane blew them. They look like they’ve had too much to drink. Antarctic Peninsula – When climate changes, not all species react the same. On the southern continent, gentoo penguins are thriving because they build pebble nests on shorelines newly exposed by melting ice. Alternatively, Adélie penguins are having trouble because they fish from floating sea ice, which is less plentiful. There are winners and losers. Greensburg, Kansas – Although not well-known, this south-central Kansas town is an environmental survivor, Gunter says. It was nearly destroyed by a tornado in 2007, but has since rebuilt as one of the most eco-conscious places in the world. It was the first U.S. city to fully adopt LED street lights, and it gets 100% of its power from renewable energy. It also has the most buildings per capita built to LEED standards. It’s rebuilt itself stronger than before. Acadia National Park, Maine – Scientists last year collected data in the popular Atlantic Coast park. In the future, the area’s lobster population is predicted to migrate north to seek cooler waters, as will the whales that pass by offshore. You’re seeing a shift in the types of species that exist there. 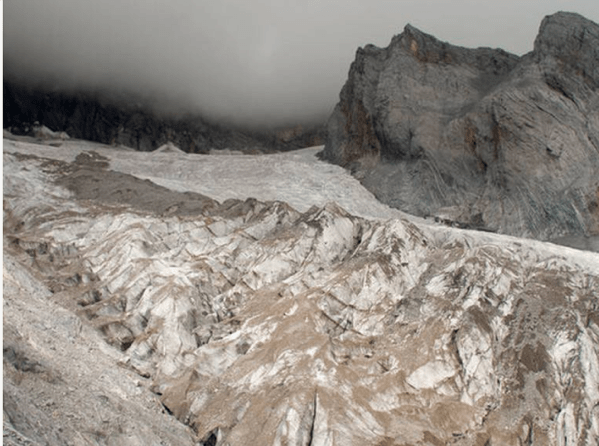 The Alps – Europe’s famous mountain range still looms over the continent, but warming temperatures are taking their toll. Not only are its glaciers receding, but its plant life is changing as lowland species gain a foothold. The Alps sit lower in elevation than the Rocky Mountains, so they’re more susceptible. Florida Keys – Coral reefs face pressure due to warming water and a shift in the chemical composition of oceans that has bleached out color. “There’s more carbon in the water,” Gunter explains. 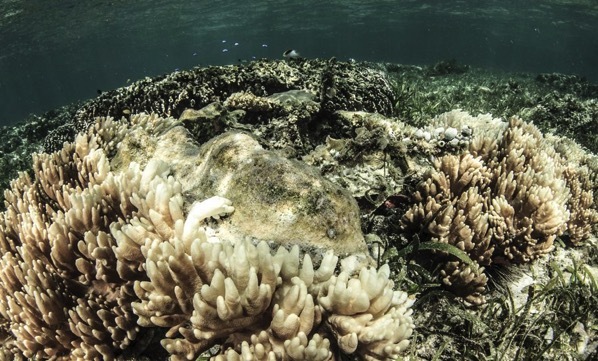 “Some corals are more resilient than others. You’ll see parts of a reef that look really good. But in others, change is noticeable. Glacier National Park, Montana – The glaciers that give the park its name have been in retreat for many years, peaking in the 19th century at the end of a period called the Little Ice Age. Since then the number of glaciers in the park has dropped from about 150 to several dozen today. It’s striking. The Himalaya, the breathtaking consequence of the battle between two tectonic plates, is home to spectacular mountains and a family of glaciers whose waters sustain 1.65 billion people across the region. The thawing of these glaciers leaves behind a myriad of lakes, some of which can suddenly burst their banks and flood downstream. A satellite-based assessment of 1,291 glacial lakes in the Tibetan Plateau and along the main Himalaya range found that 16 percent of them potentially threaten human settlements. Since 1935, around 40 glacial lake outburst flood disasters have taken place across the Tibetan Plateau. Sea surface temperatures (SST) are projected to increase in most of the world’s oceans as the result of global climate change. However, within an area of rotating ocean currents just south of Greenland an anomaly exists where colder sea-surface temperatures were documented in both global climate-model projections and in observations. It’s called a hole because there is a lack of ocean warming. This region of the ocean is a really important place for forcing the jet stream that goes across the North Atlantic Ocean. Jet streams, high altitude currents of wind flowing above the Earth, transport air masses and drive weather patterns. The relationship between climate change and jet streams is complex and understanding the potential impact of climate change on jet streams is crucial for understanding changes in weather patterns and storm tracks. The Chugach people of southern Alaska’s Kenai Peninsula have picked berries for generations. Tart blueberries and sweet, raspberry-like salmonberries — an Alaska favorite — are baked into pies and boiled into jams. But in the summer of 2009, the bushes stayed brown and the berries never came. For three more years, harvests failed. The glaciers shrinking fastest are in central Europe, the Caucasus region, western Canada, the U.S. Lower 48 states, New Zealand and near the tropics. Glaciers in these places on average are losing more than 1 percent of their mass each year, according to a study in Monday’s journal Nature. In these regions, at the current glacier loss rate, the glaciers will not survive the century. Since 1961, the world has lost 10.6 trillion tons of ice and snow (9.6 trillion metric tons), the study found. That’s enough to cover the lower 48 U.S. states in about 4 feet of ice. Glaciers grow in winter and shrink in summer, but as the Earth has warmed, they are growing less and shrinking more. Warmer summer temperatures are the main reason glaciers are shrinking faster. Humans are living through a dramatic transformation of the planet’s surface due to climate change, with the most obvious sign being the rapid decline in Arctic sea ice. And now, imaging has revealed perhaps a new chapter in that decline: The Bering Sea, which under normal circumstances should remain frozen-over until May, is almost entirely free of sea ice in early April. Open water is darker and absorbs more sunlight, turning it into heat. So, while sea ice loss is caused by climate change, it also causes climate change to speed up. The Shell case, which has more than 17,000 claimants, follows a groundbreaking ruling by a Hague court in 2015 that ordered the Dutch government to cut the country’s greenhouse gas emissions by at least 25% by 2020 from benchmark 1990 levels. Dolphins may be in serious trouble as temperatures rise with global warming. After a heat wave struck the waters of Western Australia in 2011, scientists noticed that warmer ocean temperatures caused fewer dolphin births and decreased the animal’s survival rate. The heat wave caused the water temperature of an area called Shark Bay to rise about 4 degrees above the annual average. After the heat wave, the survival rate for some species of dolphins fell by 12%, according to a study published Monday in the journal Current Biology. The dolphins also gave birth to fewer calves. What worries the researchers is that this change in birth rate wasn’t only observed immediately after the year of the heat wave. They studied the dolphins that lived in Shark Bay between 2007 and 2017, and the decline in births lasted at least until 2017. Federal scientists and academics are warning that Canada’s climate is warming rapidly and faster than the global average, saying human behaviour must change to slow the shift. Officials from Environment and Climate Change Canada presented the first study of its kind, titled Canada’s Changing Climate Report, on Monday. The report says that Canada is warming at twice the rate of the rest of the world and that Northern Canada is warming even more quickly, nearly three times the global rate. Three of the past five years have been the warmest on record, the authors said. Alaska residents accustomed to subzero temperatures are experiencing a heat wave of sorts that is shattering records, with the thermometer jumping to more than 16.7 degrees Celsius above normal in some regions. Cities and towns in the northern half of the state, including Wainwright, Nuiqsut, Kaktovik and Barrow (also known as Utqiagvik), could see temperatures soar 14 to 22 degrees Celsius above normal this weekend as the warm trend continues. The dramatic warming Alaska has experienced in recent years — which is partly linked to a decline in sea ice and Arctic ocean warming – had wreaked havoc on local communities, wildlife and the economy. Many recreational sled dog races have had to be canceled this year and the routing of the famed Iditarod race had to be changed as what is normally solid sea ice was open water on part of the race route. Crab fishing has also been affected as the sea ice used as a platform for fishermen was non-existent or too thin in some areas. 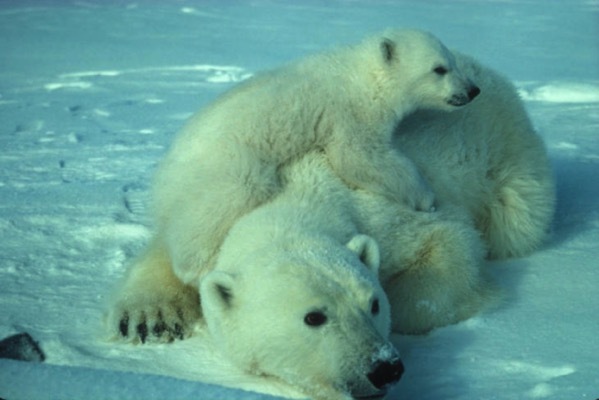 Seal population is also likely to be affected in the coming months as some of the species give birth on solid ice. Global warming had led to the lowest ice levels in the Bering Sea — which connects with the Arctic Ocean – since 1850, when sea ice records began. The physical signs and socio-economic impacts of climate change are accelerating as record greenhouse gas concentrations drive global temperatures towards increasingly dangerous levels, according to a new report from the World Meteorological Organization. The WMO Statement on the State of the Global Climate in 2018, its 25th anniversary edition, highlights record sea level rise, as well as exceptionally high land and ocean temperatures over the past four years. This warming trend has lasted since the start of this century and is expected to continue. “Since the Statement was first published, climate science has achieved an unprecedented degree of robustness, providing authoritative evidence of global temperature increase and associated features such as accelerating sea level rise, shrinking sea ice, glacier retreat and extreme events such as heat waves,” said WMO Secretary-General Petteri Taalas. These key climate change indicators are becoming more pronounced. Carbon dioxide levels, which were at 357.0 parts per million when the statement was first published in 1994, keep rising – to 405.5 parts per million in 2017. For 2018 and 2019, greenhouse gas concentrations are expected to increase further. A new study finds that the public won’t be willing to do the most important things necessary to cut their carbon footprint unless they are forced to through the introduction of new regulations. Because household consumption and travel habits contribute 72 percent of global greenhouse gas emissions, a team of scientists asked urban residents in five European countries what they would be willing to do to combat climate change. 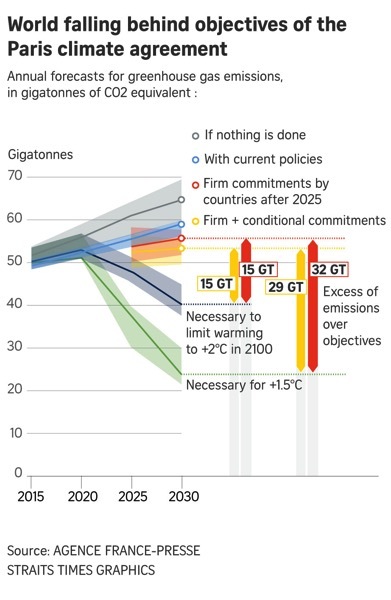 The lifestyle changes they said they would be willing to adopt would cut only about 50 percent of the emissions needed by 2030 to limit global warming to 1.5 degrees Celsius. While those interviewed were somewhat more willing to change what they eat, such as consuming less meat, they were far less inclined to fly less and cut back on their vehicle use. Just over a decade after it first opened, the world’s “doomsday vault” of seeds is imperiled by global warming as the polar region where it’s located warms faster than any other area on the planet. Embedded deep in the permafrost of a remote island in the Svalbard archipelago, halfway between mainland Norway and the North Pole, the Svalbard Global Seed Vault was built to withstand the test of time – including climate change – and the challenge of any natural or man-made disasters. Opened in 2008, the seed vault contains nearly one million packets of seeds, all carefully labeled. The seeds come from almost every country in the world and are a vast sampling of unique varieties of major African and Asian food staples such as maize, rice, wheat, cowpea, and sorghum to European and South American varieties of lettuce, eggplant, squash, and potatoes. The seed vault was built to be indestructible but in May of 2017, soaring Arctic temperatures, coming at the end of the world’s hottest year on record proved the scientists to be wrong. The extreme temperatures and rainfall started thawing the permafrost deep inside the mountain where the vault is located. A 105-page report based on research published by the Norwegian Centre for Climate Services (NCCS) released this year, revealed that the islands that make up the Svalbard archipelago where the Seed Vault is located are experiencing rapid warming. The thawing permafrost, once as hard as rock, has made the ground unstable, causing great cracks to form in buildings and structures to sink. Global energy-related carbon emissions rose to a record high last year as energy demand and coal use increased, mainly in Asia, the International Energy Agency (IEA) said on Tuesday (March 26). Energy-related CO2 emissions rose by 1.7 per cent to 33.1 billion tonnes from the previous year, the highest rate of growth since 2013, with the power sector accounting for almost two-thirds of this growth. The United States’ CO2 emissions grew by 3.1 per cent in 2018, reversing a decline a year earlier, while China’s emissions rose by 2.5 per cent and India’s by 4.5 per cent. Europe’s emissions fell by 1.3 per cent and Japan’s fell for the fifth year running. Carbon dioxide emissions are the primary cause of global average temperature rise which countries are seeking to curb to avoid the most devastating effects of climate change. Glaciers on Mount Everest have been melting at a rapid pace over the past few years. Now authorities have begun removing some of the estimated hundreds of bodies that once lay buried beneath the ice, and they say more and more have begun to emerge because of global warming. Since 1922, when the first deaths on Everest were recorded, more than 200 mountaineers have died on the peak. An elephant matriarch in Kenya that recently died of old age was an impressive sight to the very end, thanks to a pair of tusks that were so unusually long that they resembled those of a woolly mammoth. 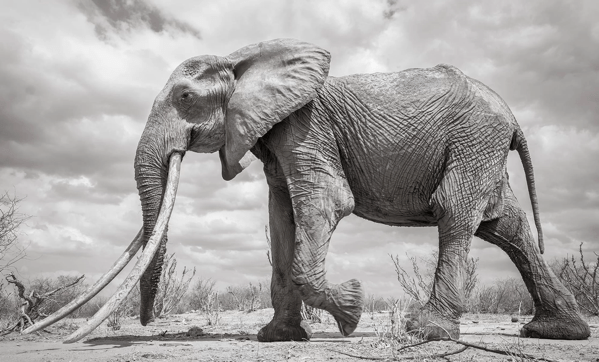 The elephant, known as F_MU1, lived in Kenya’s Tsavo region for more than 60 years. F_MU1 died of natural causes, but big tuskers usually aren’t so lucky, as their massive tusks make them targets for ivory poachers. In 2017, poachers killed and mutilated a big tusker named Satao II who was nearly 50 years old; one of the creature’s tusks weighed 114 lbs. (51.5 kilograms) and the other weighed 111 lbs. (50.5 kg), The Guardian reported that year. To date, only about 25 big tuskers remain in the wild. A new study finds habitat for waterbirds has been declining due to climate change. Warmer temperatures and less precipitation are leading to a reduction in habitat which, in turn, has resulted in fewer waterbirds in the Great Basin. 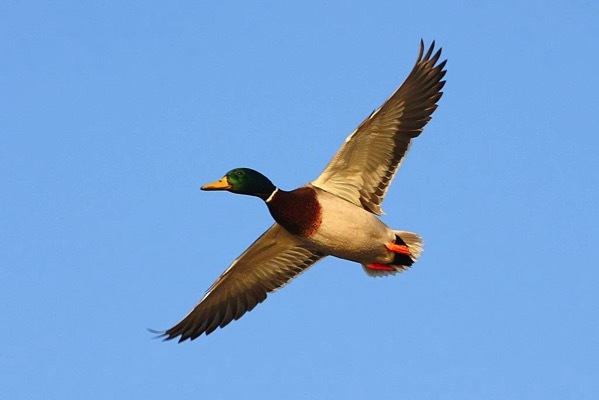 Focusing on waterbirds – including ducks, geese and herons – the researchers looked at their presence along the Pacific Flyway, a major migratory corridor in the Western U.S. The scientists found significantly warmer temperatures and lower amounts of precipitation in the Basin over the last two decades. As it gets hotter, and these wetlands get drier and saltier, they become smaller and less viable for birds raising chicks. A new UN report on global climate change isn’t quite as dire as one it issued last October. That special report on warming of 2.7 degrees Fahrenheit (1.5 degrees Celsius) showed that the effects of climate change could become catastrophic by 2040, at least 10 years earlier than scientists had predicted. Another report in December by private energy consulting group Wood Mackenzie showed that it’s already too late to counter the worst effects of climate change. The report lays out a roadmap for how to address critical problems, including air and water pollution, land and biodiversity degradation, and even antibiotic resistance. It notes that water quality is getting worse, and that plastics are now found throughout every depth in all seven of the world’s major oceans. It warns, however, that “Time is running out to prevent the irreversible and dangerous impacts of climate change.” In previous reports, UN climate scientists have identified 2.7 degrees Fahrenheit as the threshold at which global warming will endanger human and other life, as laid out in the Paris Climate Accord. The latest report also warns of a “major species extinction event, compromising planetary integrity and Earth’s capacity to meet human needs” and notes that 29 percent of all land areas on the globe are already unsuitable for growing crops, and that deforestation is continuing. It notes progress, however, in the slowing rate of deforestation. The report lays out plans to continue and expand such progress by involving community groups, scientists, academics, businesses, and authors to build the capacity to magnify change. It breaks down its findings into six major geographic areas, and notes that some regions will be especially hard-hit, including poorer regions of the world. In North America, the report notes significant progress in energy usage and air quality, but says that high drinking-water quality is backsliding, and concerns of drought are growing. It also says that loss of biodiversity is a significant risk.